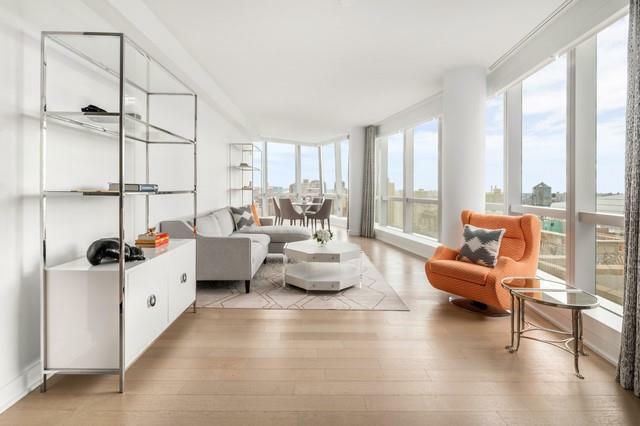 Located on the 24th floor and sprawling 1,837 square feet with floor to ceiling windows and lofted ceilings, this corner unit two bedroom has 270-degree panoramic city views. The interior of the apartment is sophisticatedly designed and appointed with designer finishes. 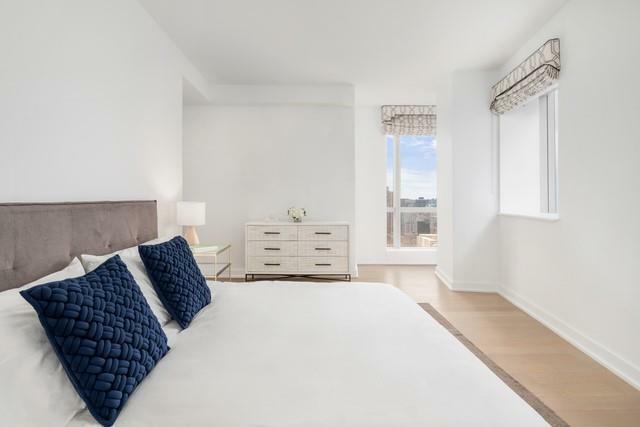 The apartment is conveniently and centrally located in NoMad, making accessibly within and out of the city for weekend trips a breeze.This is the only two-bedroom condo in a full service luxury building over 1800sf below $4mm in NoMad. The interior layout provides for the ultimate balance of privacy for the bedrooms and ease of entertaining in the living space. The chef's kitchen features Pedini glass-faced cabinetry, quartzite countertops and Miele appliances. 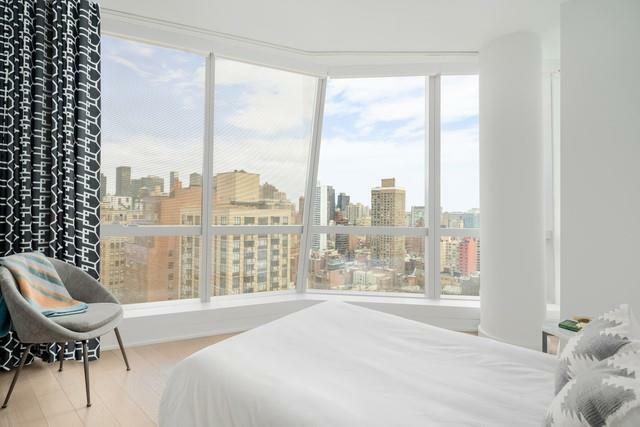 When inside the apartment, you will feel the abundant light and air throughout the space. 400 Park Avenue South was designed by Pritzker-Prize winning architect Christian de Portzamparc and completed in 2015. Amenities include an indoor heated swimming pool and jacuzzi, state of the art fitness center, golf simulator, yoga studio, steam room, roof deck featuring gas ranges and comfortable seating areas, sky lounge, full time door persons, porters, live in super, media room and children's playroom. 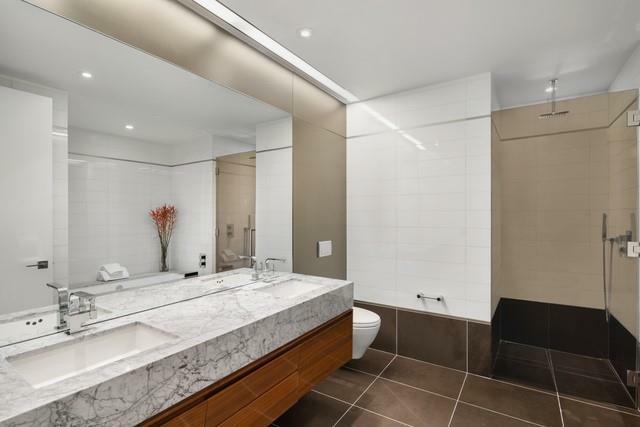 Upon experiencing 400 Park Avenue South, and apartment 24B, you will fall in love with the ultra luxurious lifestyle that those lucky enough to own in the building live.The building is LEED certified and has a 10 year 421a tax abatement. Listing courtesy of Brittny Cantor of Compass.